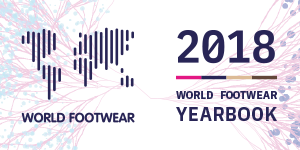 According to the 7th edition of the World Footwear Yearbook, the worldwide footwear production stalled at 23 billion pairs in the last two years, after climbing 15% between 2010 and 2014. At continental level, the geographical structure of the industry remains broadly unchanged. In 2016 Asia’s share of the world production was 86.7%, only marginally lower than in previous years. However, at country level, China’s share in the world production, which has increased in a sustained way in the last few decades, peaked in 2013 (62.9%), and since then has declined steady to a 57.0% quota in 2016. The last decade has seen strong growth of footwear exports worldwide with volume increasing by 25% to 13.9 billion pairs and value by 78%, to 122 billion dollars. However, over the last two years exports have fallen by 6% in volume and by 8% in value. This suggests that a new phase in the development of the industry may have arrived. Even if it is the powerhouse of the footwear industry and will remain for the foreseeable future, Asia has lost 2 percentage points in its share of world exports since 2010. Moving in the opposite direction, Europe has gained 3 percentage points over the same period, reversing the trend observed in earlier years. China continues to be the leader in terms of worldwide exports, with a 67.3% quota in 2016, following at some distance by Vietnam. In its most recent edition the publication presents statistics by 2016, both in quantity and value, giving a picture of the positioning of the main players taking into account production, consumption, exports and imports. The publication also includes an individual analysis of dozens of markets,as well as the evolution of the main world players in this sector, with 79 countries under analysis. 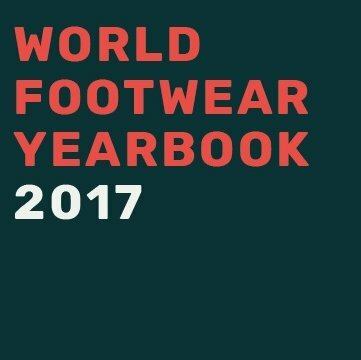 To get more detailed information about the footwear industry in 2016 buy your copy of the World Footwear Yearbook following this link to access the store.